We had a 4 kW solar system installed in August 2014 and a solar hot water system not long after that. We have gone from paying $85 for electricity per fortnight down to $45 even though we only get 8 c/kWh for the excess solar we send back to the grid. We had a 4 kW solar system installed in August 2014 and a solar hot water system not long after that. We have gone from paying $85 for electricity per fortnight down to $45 even though we only get 8 c/kWh for the excess solar we send back to the grid. Having solar also gives us an advantage if the electricity prices go up. Turn your roof into an electricity generator by adding panels and an inverter. The power produced by the panels is converted by the inverter into AC power which can be used in your home or business. A net meter ensures that solar power is used onsite first with the excess power sent back to the grid for a small solar feed-in-tariff (ask your electricity retailer how much they will pay you for your excess solar). The benefits of a grid-connect solar system are maximised when electricity is used during the day; especially during the middle of the day when the solar system is generating near its capacity. LG lead the way with high-powered and great looking solar panels. Recognised with an international Inter-solar 2015 award, LG panels give you great performance even in low light conditions enabling you to power your home even with a small roof space. SMA are a German company with 30 years of experience in manufacturing high quality inverters. New England Solar Power has been installing SMA inverters for over 7 years and recommend them above all other brands for performance and reliability. The secret of solar appears to be to use the power when it is generated during the day. 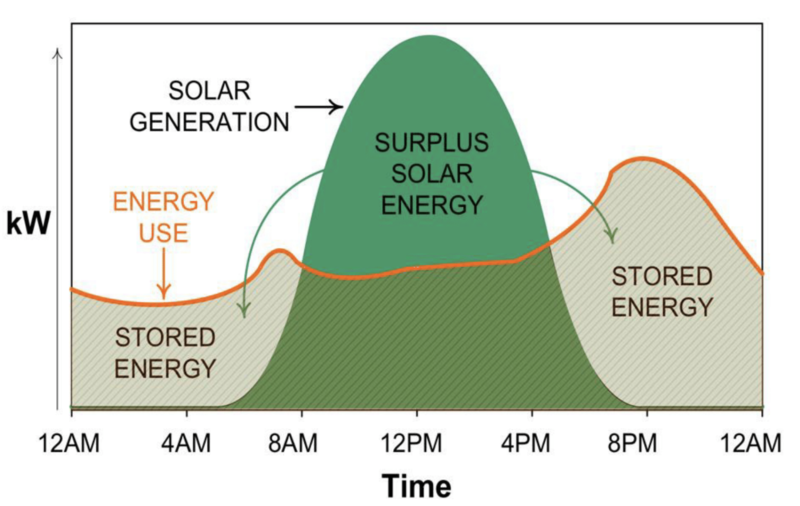 So washing machines and high demand items should be programmed to operate in daylight hours, particularly during the middle of the day when there is the most solar power available. Capture excess solar power for use at night time. Keep the lights on when the grid goes down. Renewables are the cheapest form of energy generation available. - Geoff Bragg, writing for The Armidale Express. 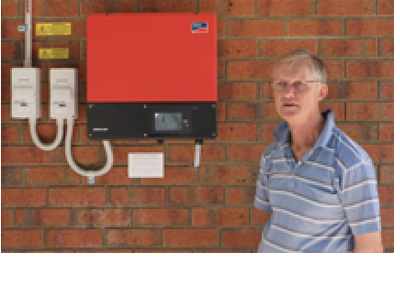 Solar systems with battery storage give you more independence from the grid. Solar power is often wasted during the middle of the day when solar output is at its peak but there’s nobody at home to use it. A hybrid inverter together with a battery can soak up excess solar during the middle of the day and store it for use during the night. Backup all your household circuits when the grid goes down and prepare for disconnecting from the grid altogether. This system has been foolproof for us; we've never ever had a hiccup in it. Going off the grid is a big step and relies heavily on quality equipment and knowledge of how to get the most out of your system. 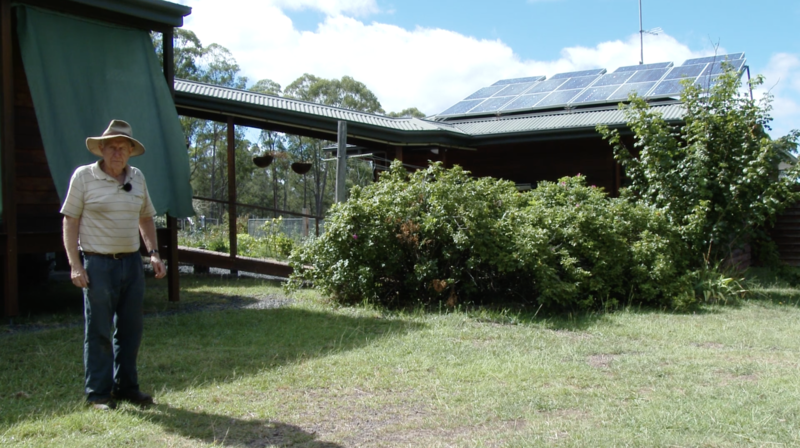 Our off-grid solar systems are tailored to your energy needs. That’s why we ask you to tell us what electrical appliances/equipment you want before we design a system for you. This enables us to ensure that there is sufficient solar power and sufficient battery storage to last you through the depths of winter. Why choose a Solar Pump? Use solar to supply drinking water for your stock. We wanted to buy good quality equipment from a local business. It's running without a hitch and I think it's going to last us well into the future. Solar pumps are a superior alternative to diesel in locations far from the electricity grid where water isn’t required 24-hours a day. We install built-to-last Lorentz solar pumps for pumping from bores, dams and rivers to water storage tanks and watering troughs. Contact us about your stock watering requirements. We have developed our own Ground Mount Framing system here in Armidale ideal for sloping sites where there is potential for run-off and erosion. The single layer system and the height of the panels off the ground enable grass to grow underneath all year round. The panels provide shade from the burning sun in summer and protection from frost damage in winter meaning your ground is in better condition after the panels are installed! The NESP Ground Mount Frame System is built to last using galvanised steel. The frames are certified by an engineer to meet wind loading standard: AS 1170.2 and are easily adjustable from 5 degree to 45 degree lift angles, to optimise output.